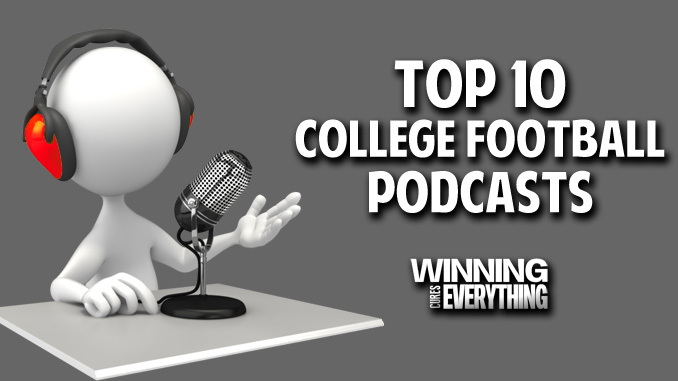 We give you a list of the Top 10 Best College Football Podcasts that you need to listen to if you’re interested in behind the scenes stuff, betting picks, previews and recaps, and more! If you’re looking for the best online sportsbook out there to make your bets, signup at MyBookie.ag with promo code WCE50, for a big deposit bonus! 2 day payouts, best opening odds, best live odds, and the easiest to use website/mobile site out there! I’m going to start off with our own podcast here, but I won’t include it in the Top 10 rankings. After that, we’ll go through the Top 10 podcasts that I listen to nearly every week, whether I’m sitting at my desk working, driving around the city, or just at the house doing dishes, laundry, etc. I feel like we put out an incredibly entertaining, knowledgeable, fun podcast that centers on college football, and we continue to bring in great guests (Tim Brando, Gary Parrish, Chris Fallica, Josh Parcell, Dan Wolken, etc) fairly often. 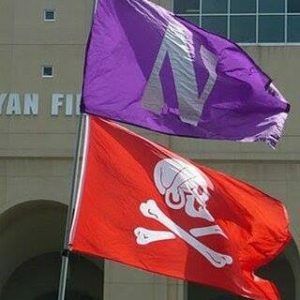 College Football should be fun, and we get passionate about certain topics while also trying to figure out different ways of explaining things that are going on around the college football landscape. If you haven’t listened, subscribe to us on iTunes, or just check out the podcast page to listen here on the site. 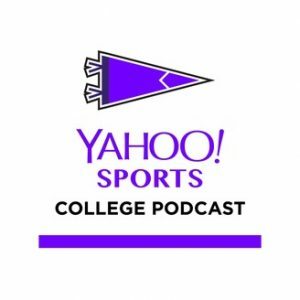 Ty Hildenbrandt and Dan Rubenstein have been discussing college football through their podcast for the last 10 years. Released every Sunday and Wednesday during the season, they do the first recap of the previous week, and the first preview of the upcoming week. The guys are funny, their sound effects are classic goofball, and they don’t take the games too seriously. It’s a phenomenally produced hour listen 2 times a week. Definitely one you need to add if you just want to know about what’s going on in college football. 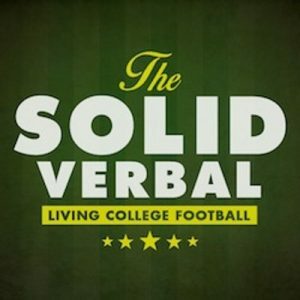 Recommended Podcast: The History of the Solid Verbal – exactly what it says. It’s a 2 hour listen from this summer, but it’s a great story. Chris Landry is a former scout, former coach, and former front-office admin, and he knows A LOT of people. Which makes his podcast a must-listen if you want to know what’s going on in college football, especially in the Southeast. 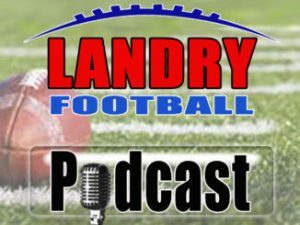 Now, I’ll admit, this isn’t the fun, cooky podcast that will go over every game, play a lot of goofy sound effects, etc, like The Solid Verbal, but Landry is incredibly informative and gives you things that you won’t find on other podcasts. 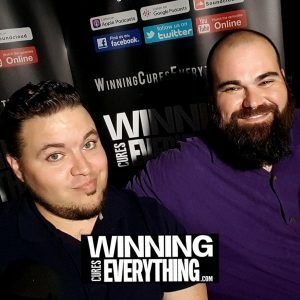 Whether it’s coaching searches, or reasons why specific teams are not performing well, Chris dives into all of it with information you can only get from him. 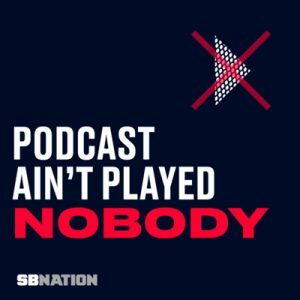 Bill Connelly, creator of the S&P+ ratings system, and Steven Godfrey, writer/reporter at SBNation.com, get together a couple of times a week, during the season, for this podcast. The Sunday podcast is always shorter, as they go through what Bill’s computers can tell us about the last weekend’s games, what he agrees with and doesn’t, and Steven gives his thoughts on games that mattered as well. Overall, incredibly insightful, and it looks at analytics along with funnier aspects of the sport. 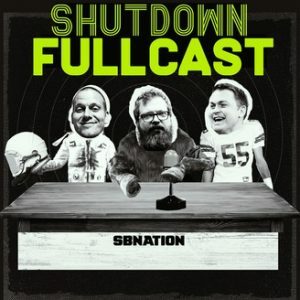 Ryan Nanni, Spencer Hall, and Jason Kirk – all 3 guys from SBNation.com and EDSBS.com. Do not download this podcast if you’re looking for serious college football talk. However, if you want to listen to 3 guys with no filters, who make fun of anything and everything (including themselves) then this is the place to go. It’s always good to have a show to listen to that isn’t all about facts and data, etc. This one is simply all about fun and cracking jokes. It’s great. I used to be a huge fan of the Wetzel to Forde podcast. Now, I get Dan Wetzel, Pat Forde AND Pete Thamel on the same podcast. All 3 guys are hilarious, they all cover college sports, and they’ve got some of the best stories you’ll ever hear. These guys are fantastic, to say the least. This podcast disappeared for a little while, but now it’s back. 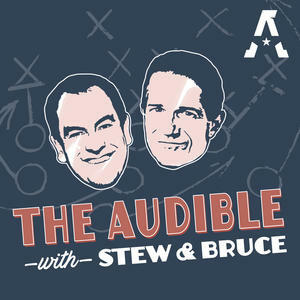 It was run by Fox Sports, but Stew was let go by Fox, and Bruce is now writing at Sports Illustrated… so they got back together and started this back up. These two reporters have been all over everywhere. They know everybody. They have awesome guests, and they’re extremely knowledgeable about the topics that they bring up. It’s only once a week, and it’s well worth the listen. 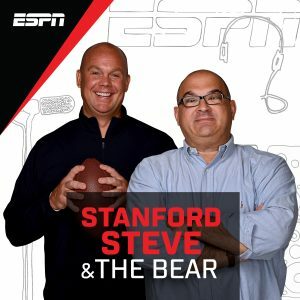 Our buddy, Chris Fallica, does one show a week on this podcast with “Stanford” Steve from the SVP Sportscenter. About an hour long, this one is solely a picks show, with a few tidbits of news tossed in, but the discussion always floats back to how it affects the play. Fallica and Steve have been doing this for years. They understand gambling, and they know which way Vegas is trying to get bettors to lean. Their records aren’t always great, but they know what they’re talking about, and they’re entertaining doing it. 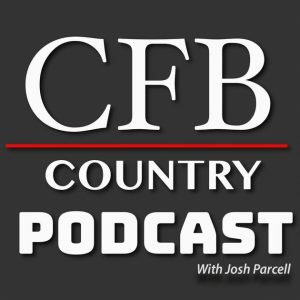 Josh Parcell is a friend of ours, and has been on our show multiple times now. He runs his own website, and does his own show. He used to work at ESPN, Fox Sports 1, and wrote for Outkick the Coverage with Clay Travis for a while, so he’s always got great guests on. Did I mention he had almost a 70% winning percentage picking against the spread in 2017? Yeah… pretty remarkable. Funny guy that knows a lot about college football… and he’s a Virginia Tech Hokie guy as well. 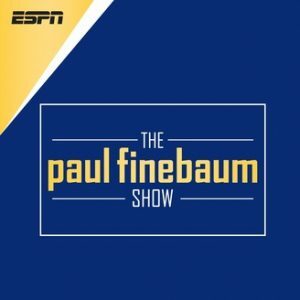 If you’re a college football fan, you know Paul Finebaum. His show started in Alabama, and it’s insanely entertaining. He brings you 4 hours of content every day, 5 days a week. Which is bananas. Now, not everybody has 4 hours a day to listen to podcasts, but they also do a “best of” every day, so you can catch the important stuff. 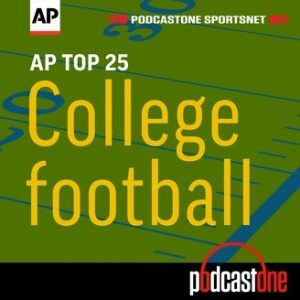 AP Sports College Football writer Ralph Russo delivers a weekly podcast that explains what exactly goes into the AP Poll, and also discusses the biggest games, has awesome interviews, and a ton of other stuff. Short podcast that is well worth the listen. …and we’ll make it 11, because you’ve read through all 10, so you deserve a bonus. But also, the Big 10. These are our buddies from north of Mason Dixon, and they do a great job with their weekly shows during the season, and their offseason preview shows are fantastic.